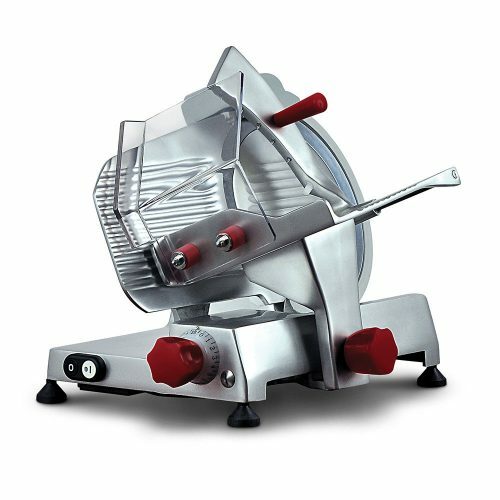 The Retro Flywheel slicer is a beautifully produced machine with a trendy retro look. 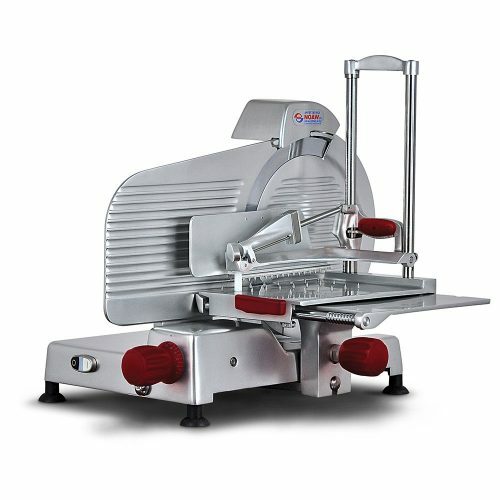 Constructed from aluminium and stainless steel, the Retro Flywheel slicer is a compact machine, specifically designed for use with all cold cut meats, particularly prosciutto. 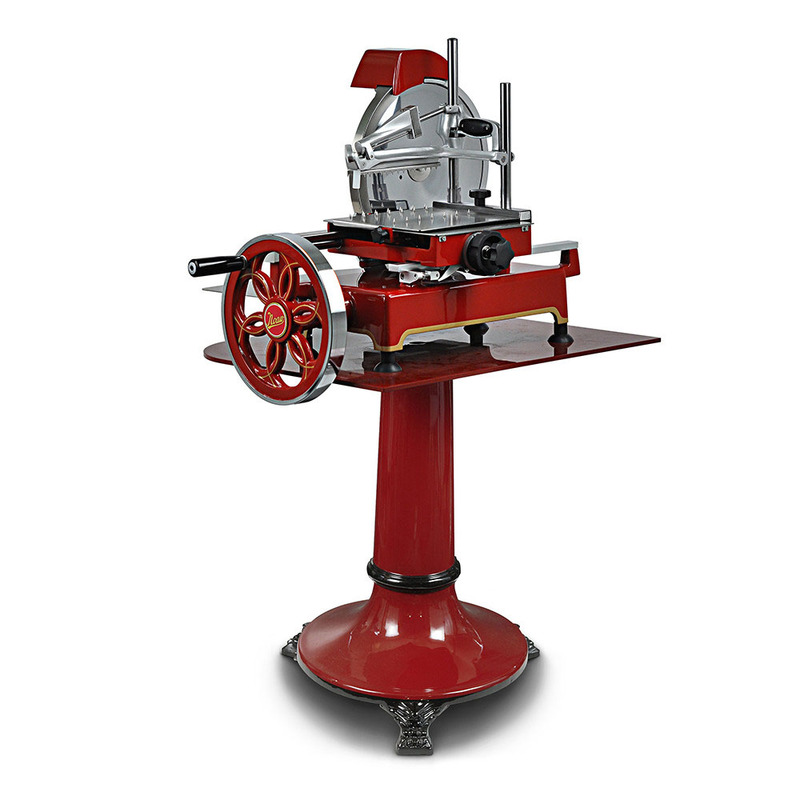 The chrome plated blade is constructed in quality steel alloy (100Cr6). 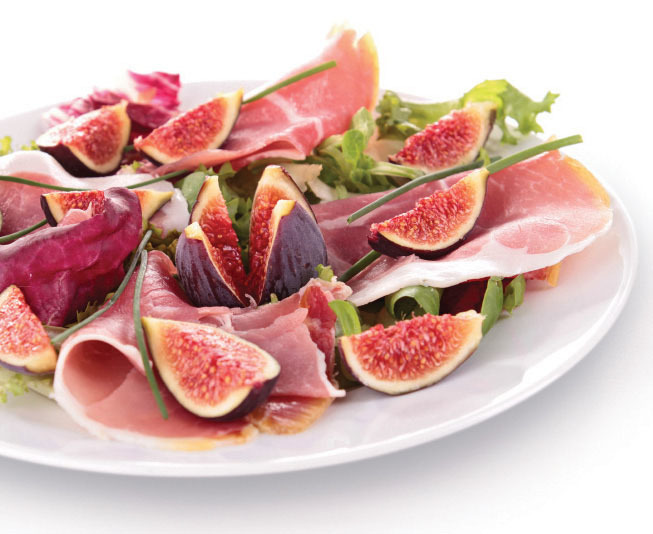 It is hardened, tempered and resistant to rust. Beautifully powder-coated in red and featuring an intricate flywheel design, the machine will certainly be eye-catching in any application.